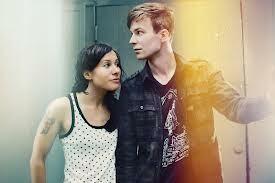 Video: Matt & Kim - "It's Alright"
While I do enjoy relaxing music on Mondays, Matt & Kim's energetic pop alternative music always puts me in a better mood so I was happy they had a new video for "It's Alright." Not only is their music a good time, but they tend to have clever and entertaining visuals to go along with them. In this one, we find the pair trying to get comfortable as they sleep, but then break into synchronized dance moves while their eyes are shut. Some interesting moves they have as things get a bit weird, but that never hurt anyone at the start of a new week, right? Watch below.